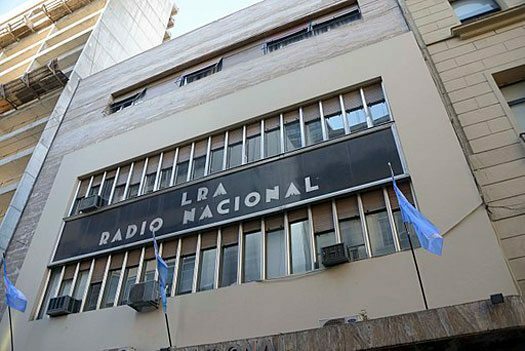 In Argentina, as in the U.S., a handful of corporate media companies control the airwaves. That was very much by design; in 1980, when Argentina was ruled by a military dictatorship, community groups and nonprofits were banned from broadcasting on television and radio. But, though the law is still in place, you can only silence people for so long before they find a way to be heard. And now hundreds of Argentinian communities are offering their own programs, as reported by Wired magazine. Serra spent three years with DTL! Comunicacion Popular, a collective that erects radio towers to enable the voices of poor and working-class communities to be heard. In the U.S., as we know, the cries of political bias and “fake news” come from even the most powerful. But these community radio stations are about more than filling in one side or another. It’s about allowing whole communities that have been shut out of the dominant media to talk about what it’s important to them. Sometimes that means broadcasting in indigenous languages; sometimes that means covering controversial stories, such as police brutality or the environmental impact of a mining project. What DTL! Comunicacion Popular does is offer the infrastructure—communication towers and recording studios—that allow communities to build their own media. The collective began about 10 years ago with a single television station in an impoverished neighborhood in Buenos Aires. Since then, Wired magazine reports, it has launched 150 radio stations and 20 television stations. It costs about $2,500 to build a studio and tower that can broadcast a mile in urban areas and 30 miles in the countryside. Community groups in the U.S. should take note. While in the U.S. there is nothing so blatant as a military dictatorship’s unilateral ban of community groups from the airways, the economic landscape for journalism is one of a progressively tighter squeeze in which corporate consolidation has thrived. More than a third of U.S. newspapers have changed ownership since 2004, according to a 2016 study from the University of North Carolina in Chapel Hill. The study found that corporate consolidation also increased. In 2004, the three largest companies owned 487 newspapers. By 2016, that had increased to nearly 900. And when newspapers change hands or simply go up for sale, the focus is rarely on reinvesting in journalism. The norm is cost-cutting to make the businesses more attractive to investors and profitable for shareholders. According to the Poynter Institute, in the last decade, hundreds of newspapers have either shut down or cut back (such as dailies becoming weeklies). The result can be “news deserts,” in which news important to local communities goes unreported. NPQ has reported on efforts to address the lack of diversity in news coverage, such as the Madison 365 project in Wisconsin. Many of the most prominent nonprofit journalism models in the U.S., like ProPublica, seek to find new ways to create and distribute work done by professional journalists. The DTL! approach in Argentina is to engage citizens directly in the production of their news.